To navigate the estuary of the widest river in the world, you need reliable and safe power. For the commuters and tourists on Rio de la Plata, Scania engines are a safe bet. The massive Argentinian river, including the Paraná Delta with its web of inter-connected rivers and streams, is home and workplace for the Sturla family. In May 1947 Angel Roberto Sturla founded a company to provide public transport between the remote villages within the delta. His son Hector developed the company and today, as owner and Managing Director, Angel’s grandson Jorge Sturla is taking Sturla Viajes into the future. The commuters journey passes through the Paraná Delta, which was declared a natural reserve in 2000 by UNESCO. Every day more than one million commuters arrive in Buenos Aires by train. Another 2.8 million people travel by bus, while 800,000 cars drive to and from Argentina’s capital. 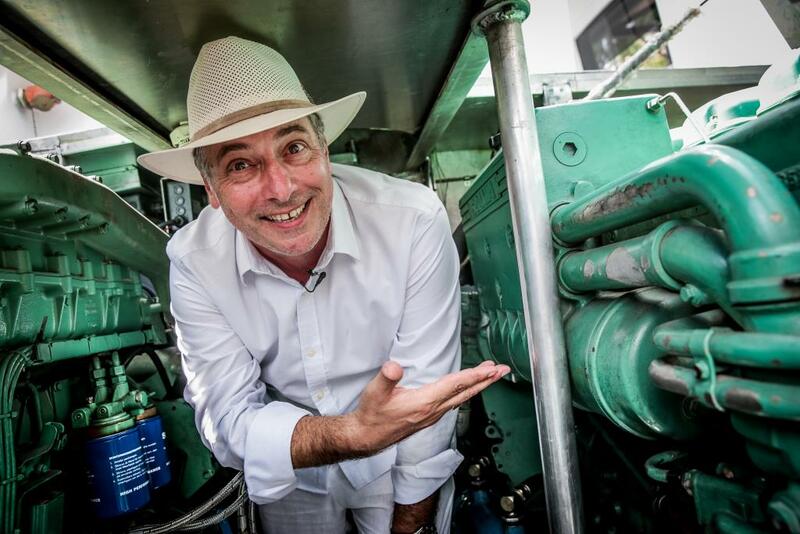 Jorge Sturla, owner and managing Director of Sturla Viajes, is happy with the extra power he gets from his Scania engines. “With the huge population growth in the Buenos Aires metropolitan area came massive traffic jams and congestions, and a need for alternative solutions to transport people from our hometown Tigre here in the delta to downtown Buenos Aires,” explains Jorge Sturla. 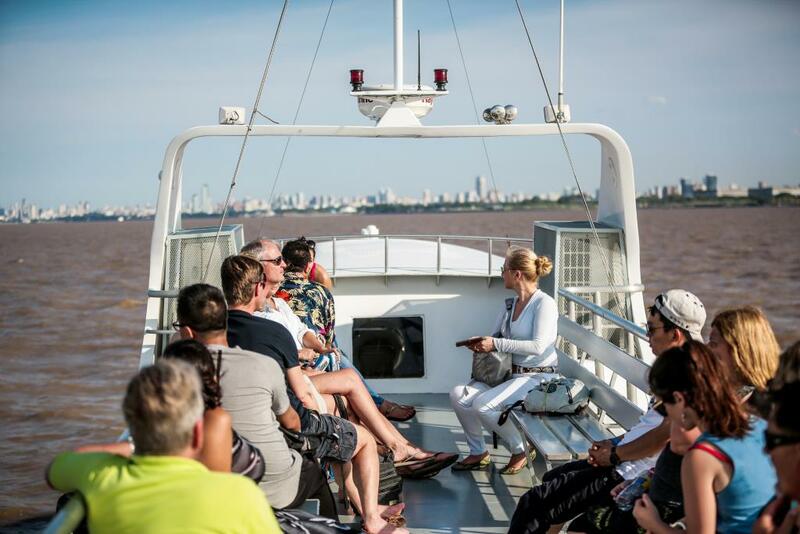 “I found that with our boats we could offer a marine route from central Tigre direct to the financial centre of Buenos Aires in one hour, the same amount of time it takes to travel by train or car, but a completely different experience!” says Sturla. Today, many of the residents in Tigre commute peacefully to their work through one of the most beautiful natural areas in Argentina – the very opposite to the commute into the city by road and rail. If the passengers get bored watching the scenic and protected rivers, islands and lagoons, they can lean back and read a paper, have a drink of mate or coffee, or do some work at a relaxed pace via the free Wi-Fi on board the boats. When the boats dock in downtown Puerto Madero, they are already inside Buenos Aires’ bustling financial centre, and just ten blocks from ‘Casa Rosada’, the executive mansion and office of Argentina’s President and the very heart of the country. “And they arrive at work feeling refreshed, just as they do when arriving home in the afternoon. They are not exhausted, but happy and kissing their wives or husbands,” says Jorge Sturla, with a smile. When “Hector Sturla” dock in downtown Buenos Aires, the commuters and tourists are already inside the city’s bustling financial centre. Each year 125,000 commuters make the trip between Tigre and Buenos Aires. 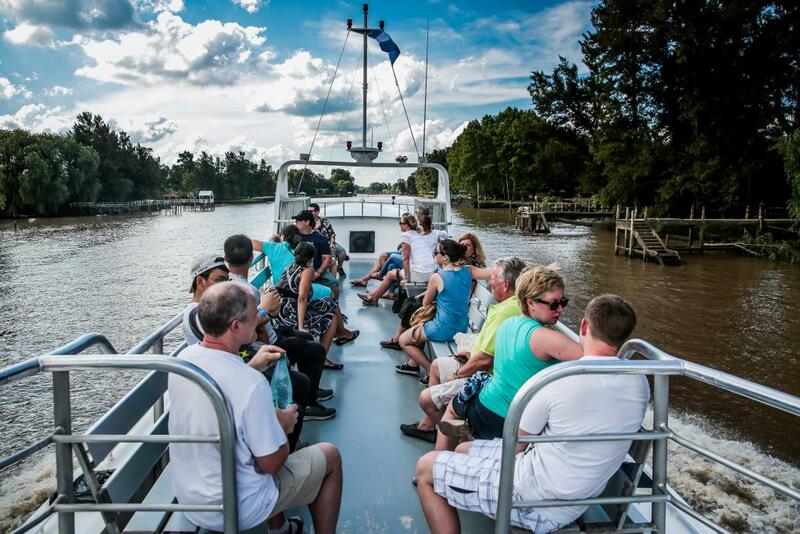 In the daytime, while the commuters are at work, several of the boats from Sturla Viajes carry tourist groups into the Paraná Delta, with its abundant wildlife and extensive ecosystem. The tourism side of the business gives Sturla Viajes another 125,000 passengers a year. From the Paraná Delta, the 290 kilometre-long La Plata widens into a 200 kilometre-wide estuary that separates Argentina from Uruguay. Sediments carried down the heavy stream make the river shallow and erratic. The ‘Hector Sturla’ and the company’s other boats often have to navigate at depths of less than two metres. 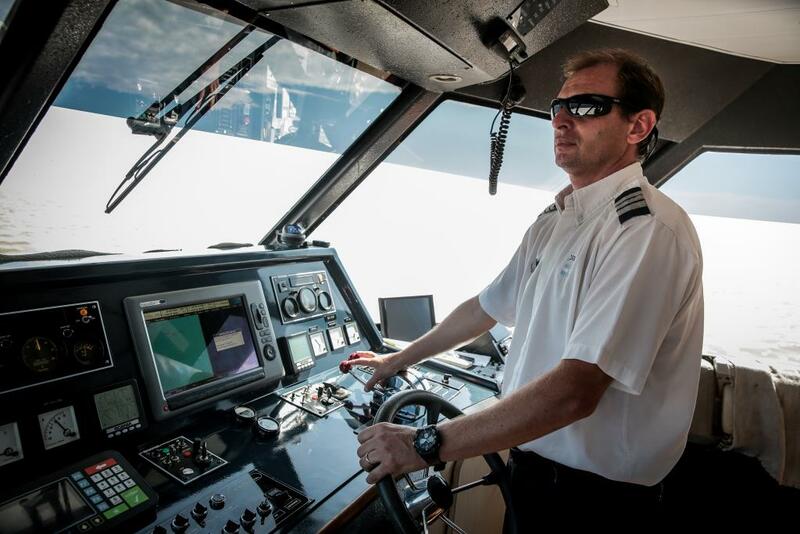 Captain Sergio Guiellermone knows the river as his own pocket and avoids all the growing and moving shoals. However, Captain Sergio Guiellermone knows the river well and can steer his boat and its passengers in between all the growing and moving shoals. Sturla Viajes is the only provider of commuting services between the delta and the city of Buenos Aires. Still, Jorge Sturla keeps a careful eye on the needs of all of his 250,000 customers and the demands they put on his fleet of boats. “Our passengers are not looking for speed. They want reliability, safety, and comfort. And they want another experience than they get from the insanity on the roads and railways of Buenos Aires,” he says. Tigre is a gateway to the rivers and wetlands of the vast Paraná Delta. 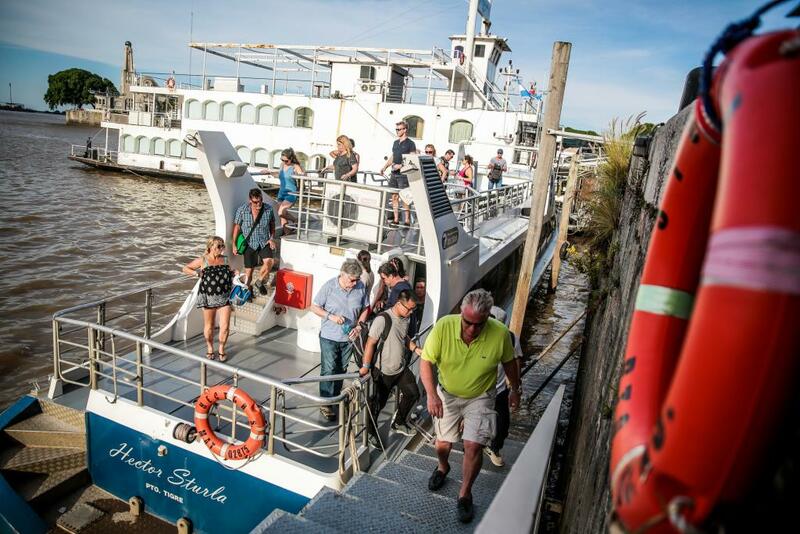 The town’s boat stop is teeming with commuters and tourists, boarding the boats for downtown Buenos Aires. The level of service and maintenance from Scania’s local dealer is also a reason for the strong relationship between Jorge Sturla and Scania.